Well it’s that time of the year again and as its Christmas, it gives me the chance to pass on my thanks to everyone who has supported my Testimonial, since it started back in July. Over the last six months my committee and I, have been amazed by the number of supporters that have turned up at our events and snapped up the books, calendars and raffle tickets we have had on sale. It’s just brilliant to see so many people getting behind me in this special year and I simply can’t thank everyone enough. The first six months have really blown me away and been better than I could ever have anticipated and that’s all down to you the fans of Hull FC. I’m now looking forward to my Testimonial game on Sunday 14th January and to the programme of further events that will be announced in the New Year. One of the reasons that I love playing for Hull FC is the loyalty and passion that is always show by you the supporters. You’re without doubt the best in the game by far and, over the last six months, you’ve all really got behind what we have all been trying to do. So, I just wanted to take this opportunity to thank each and every one of you who has supported me so far. I hope that you all have a brilliant Christmas and here’s to another successful season in 2018. SEASONS GREETINGS TO YOU ALL!! It’s a time of peace and goodwill to all men and at Hull FC there has at least been plenty of Peace this closed season! There has been none of the speculation, comings and goings and ins and outs of previous campaigns and for guys like me trying to write about it all, it’s been the quietest pre-season since the Diary started back in 2005. Still the new seasons not that far off now, so enjoy a bit of ‘peace’, Happy Christmas to you all and I hope you all have a great one! With just one more Diary before Christmas (and still no pre-season friendlies announced) at least the worst part of the annual hiatus that is the closed season, is almost over. We’ve had the World Cup to keep us amused, but now for four weeks or so at least, we have no rugby to watch at all. Still, it’s a critical time for the club in other ways and I’ll talk later about the success of our quite amazing retail operation. The fans have this week, with record season ticket sales a real possibility, queued in unprecedented numbers in the FC retail outlets, no doubt inspired by the last two campaigns at the Club. Everyone seems, I think, to have faith that after a number of years in the doldrums, the wonderful 2016 season was not just a flash in the pan and we are moving forward as a club and a team. In a great HDM interview this week with Adam Pearson, which I will look at in depth later on, our Leader indicated that he expected big changes in the structure of the game which we have, he said, as a Club, to be prepared for. 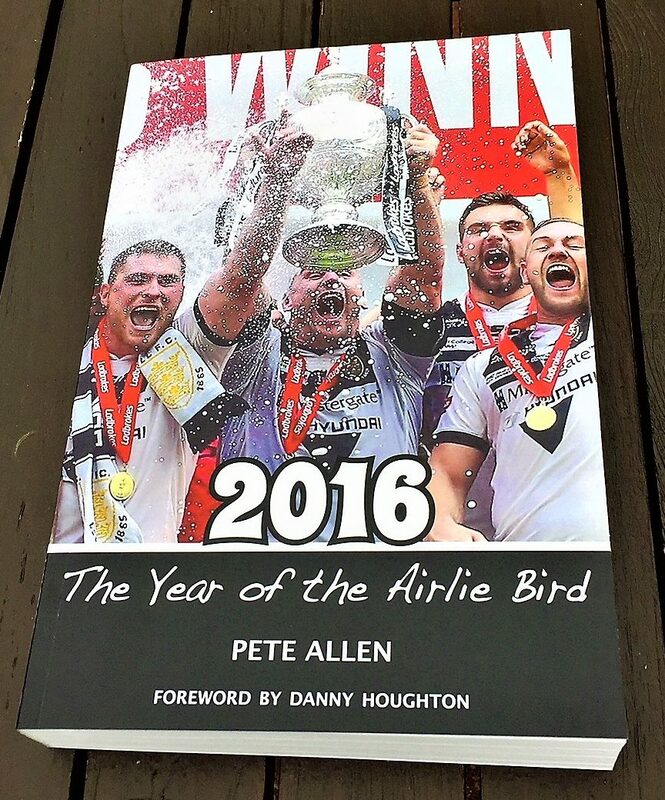 So as we approach Christmas it is maybe for a change, a steady as you go, stable and positive outlook for Hull FC, with all the uncertainty and concern for once circulating not around our heroes but rather about where exactly the Domestic Game is heading in the coming years. Enjoy these relatively stress free week’s folks they won’t last long!! “It’s the hope that kills you”, said the BBC Commentator and indeed it was, but in what became the Battle of Brisbane, England came so close and played so well, yet once again it was ‘Heartbreak time’, but we’re not that far off are we? However, being not far off doesn’t win you trophies! Just as we have seen in the Super League and the Challenge Cup finale’s in the last two seasons, it’s the teams that can find a way to win the war of attrition in such crunch games that usually come away with the spoils. 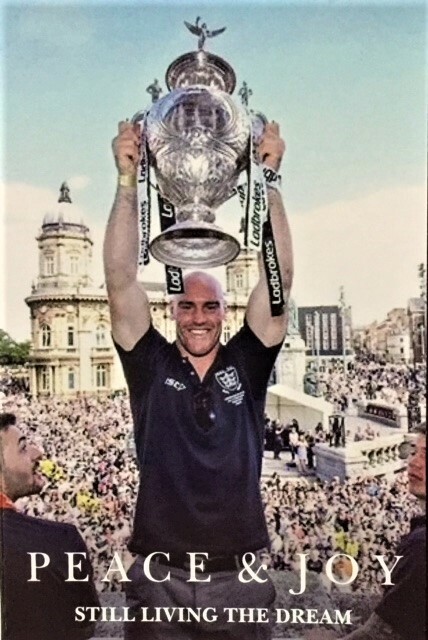 We did it in two semi-finals and two Challenge Cup Finals and Wigan and Leeds did it in the Grand Finals, whilst in the World Cup, Australia did it…. Again. Nevertheless, in the cold light of next day and watching it back again, it now looks to me like Saturday was a massive missed opportunity. With O’Loughlin and Hodgson missing it was always going to be a big, big ask, but the lads did England and our domestic competition proud. Still the record will show another win to the Aussies and I guess that’s that! With Brown largely ineffective and Gale taking poor options near the line when we had all the pressure, we went so close. In the end our playmakers execution just let us down at a time when the Kangaroos were flagging and a massive chance for England to become Champions of the World went begging. The Aussies were out on their feet and ‘flying on fumes’ but we simply didn’t have the guile to get over the line and it was certainly very painful to watch the player’s reactions at the end. But, with an intensity akin to State of Origin and a massive effort from every player on show, what a great match it was! Back home however it’s certainly again been a quiet week on the FC front, but that at least gives me the opportunity to share a few thoughts about our owner Adam Pearson and what makes him tick, I’ll also have a look at pre-season training and how it’s going and expand on my feelings about what’s been happening in the rest of the Rugby League this past 7 days.